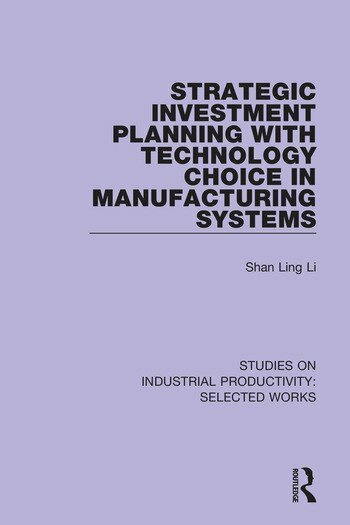 Originally published in 1994 this book examines problems related to investment planning, capacity additions, and choice of technology in dynamic manufacturing systems characterized by multiple products, dynamic demand growth, uncertainty in demand and availability of alternative technologies. A model-based methodology is developed that focuses on trade-offs between flexible and conventional technology. The research conducted for this book is directed to the development of tools to support investment decisions in production capacity over medium and long-term planning horizons.